A recent survey found that only 40% of finance executives rated their financial planning and analysis (FP&A) capabilities as effective. With increased pressure on the finance team to improve the efficiency and effectiveness of FP&A systems, tools like Excel buckle under the weight of those growing demands. Real-time performance data is essential to keep business leaders informed and to make timely decisions. An agile FP&A function enables businesses to standardize processes, improve collaboration and establish easy-to-understand dashboards and smooth reporting across the entire organization. 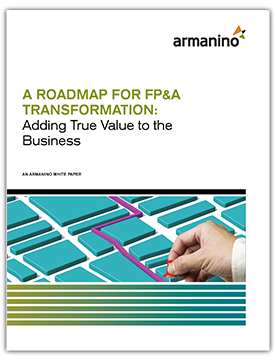 Learn more on transforming your FP&A function to a best-in-class system and delve into case studies on what your peers have experienced in the full white paper.